This is an amateur figure painting of a girl in the yogic position called “Camel Pose”. The shading on her is slightly confusing and underdeveloped, but I enjoy the shape of her. I enjoy large-scale figures because I feel like it makes graffiti more easily accessible to be appreciated by the general public. The artist chose green because the camel pose is supposed to stretch the heart chakra, which is represented by the color green. I like the idea of combining art and yoga, because they are both concepts that encourage positive lifestyles. The word for the heart chakra is “anahata” and it is written under the girl. It’s nice to think someone may become encouraged to look up the meaning of anahata and then perhaps explore yoga. I don’t like this piece, however, because it displays a lack of experience, which I feel can kind of bring down the value of graffiti for everyone, including the more experienced artists. However its also the case that every artists has to start someone, even if its with a simple shape on an abandoned wall behind a coffee shop. 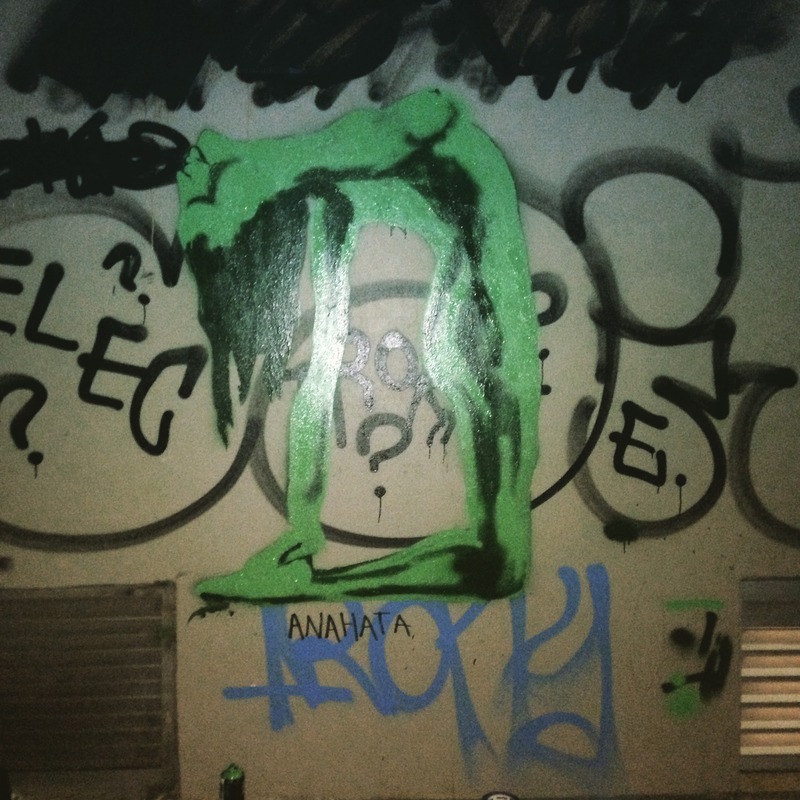 “Anahata,” Street Art deTours, accessed April 24, 2019, http://streetartdetours.com/document/1174.